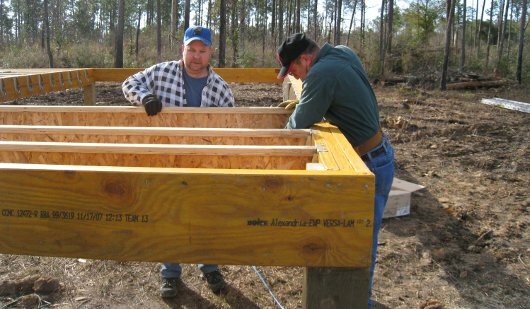 Yesterday the guys from Green Valley Baptist Church, Birmingham AL, put in a long day drilling the holes and setting the 10 X 10 pilings for the new bunk house. 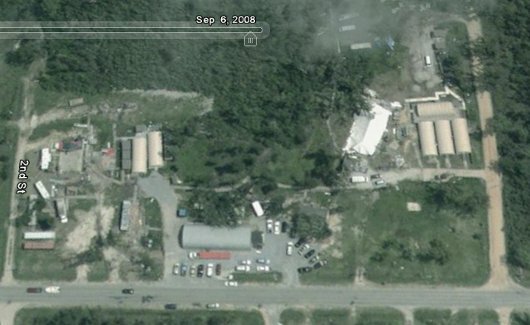 Google Earth recently release version 5 of their satellite imaging software. 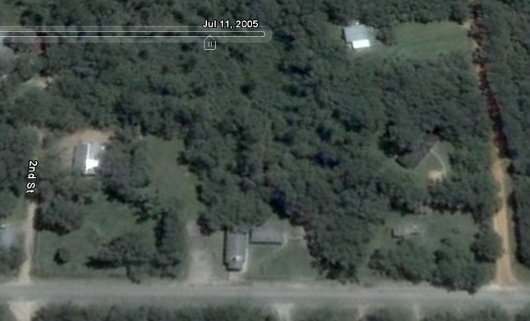 A new timeline feature allows you to go back in time and see historical imagery. 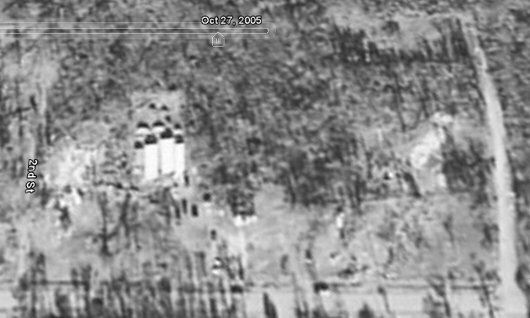 The above three screenshots show the satellite pictures from July 11, 2005, October 27, 2005, and September 6, 2008. 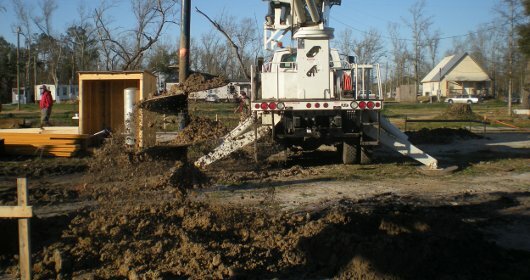 Katrina hit August 29, 2005. With the free download of Google Earth you can zoom in and out and fly around the globe. Looking at Lakeshore this morning reminds me once again how drastically the storm changed the landscape. At least its getting somewhat green again. 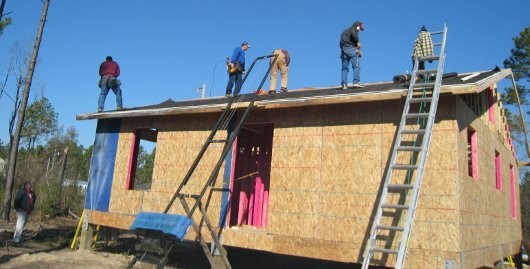 Yesterday, by faith, Lakeshore Baptist Church voted to construct a permanent bunk house to continue hosting volunteers. We pray that this first step in our master plan will, in part, make our zoning board happy. We hope to keep our existing quarters for a little longer as well. The structure will also ensure that we can continue hosting mission teams for a long time to come. The building will sleep 38 people in two rooms with adjacent restrooms and showers. 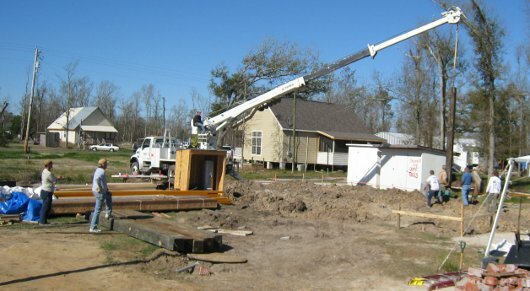 Sitting on sturdy pilings 9′ above ground the structure will exceed the new flood plain regulations. Lord willing, we plan to break ground in the next few weeks. We need your help to finance this project. For $200 you can sponsor one of the 38 beds and have your name installed on a recognition plaque placed in the rooms. 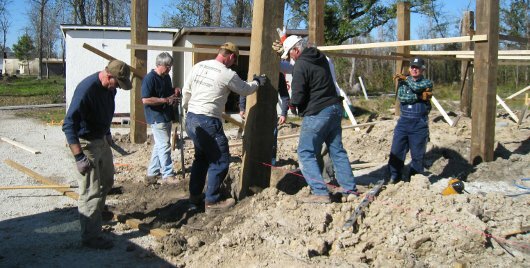 For $1,500 a church can sponsor one of the 20 exterior 8’X8′ pilings. A plaque with your church name, city, and state will adorn the respective post. 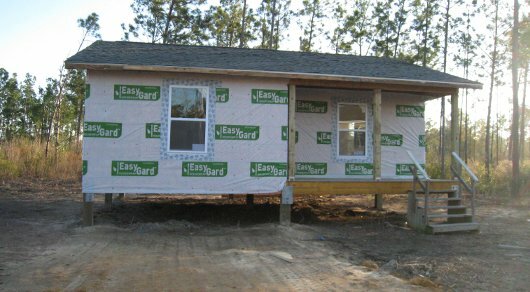 This sponsorship program will not only finance the project, but also serve as a wonderful testimony to God’s provision of brothers and sisters in Christ from across the country who have stood along side of us in the relief, recovery, and rebuilding efforts to the glory of God. Download and print this Sponsorship Form (pdf) and send in your contribution or pledge today.